I want the Hall Tickets of degree examination of Rayalaseema University so can you please provide me? 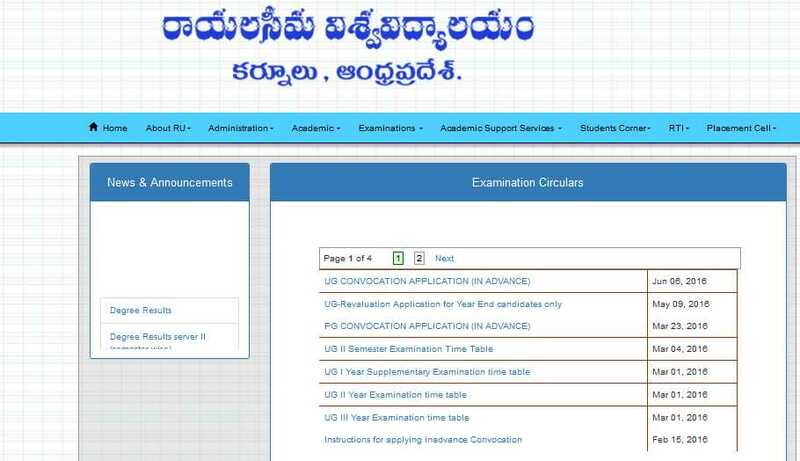 Rayalaseema University conducts examination of various degree courses every year. The University publish the admit card of the exams on the official website of the University. Here I am telling you the process to get the admit card. On this page you will get the hall ticket of exam when it will publish by the University.